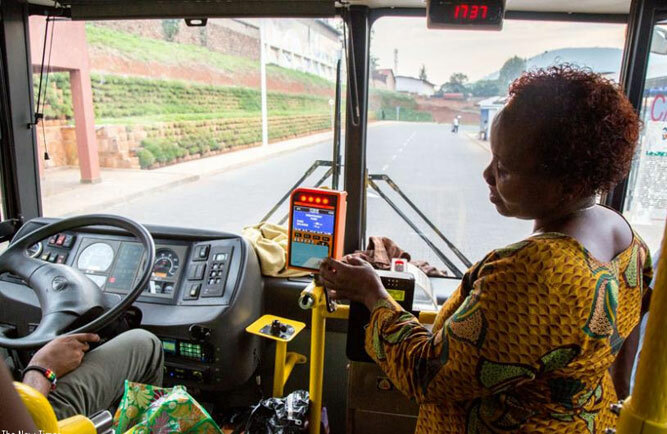 On April 22, 2018, Marie Louise Mukanoheri, a vendor who travels from her Kinyinya home to Nyabugogo in the capital Kigali every morning to spend a day away, took her electronic payment card – commonly known as Tap&Go. The card’s chip is read by a machine installed at the entrance of the bus. A passenger taps the card on the machine which deducts an amount of money equivalent to a single trip. This is part of the country’s wider transition into a cashless economy. 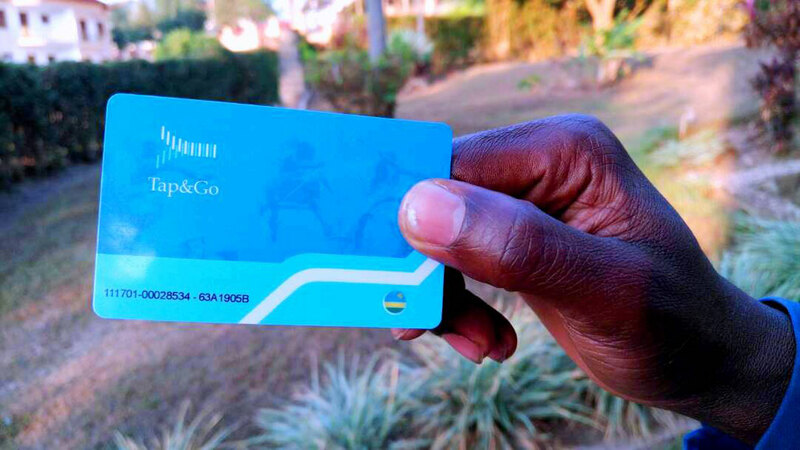 Holders of ‘Tap & Go’ cards top up through agents stationed at all bus terminals with as little as Rwf200. But Mukanoheri’s experience with the service has raised eyebrows among passengers using this payment system. As she arrived at the bus stop, Mukanoheri tapped her card as usual and the machine made deduction where she remained with a balance of Rwf250. “In the evening when I was ready to go back home, I topped up with Rwf250 more because a trip to Kinyinya is Rwf275. But to my surprise, the machine marked ‘insufficient funds’. I realized there was no money on my card,” Mukanoheri told KT Press. At the parking of buses connecting Kimironko to Nyabugogo via Kibagabaga, a woman who identified herself as only Maman Hirwa, had a similar experience last week. She topped up her card with Rwf1,000 while he had Rwf200 balance on it. However, on arrival to the bus on her way back home, the card reader displayed Rwf1000 balance. 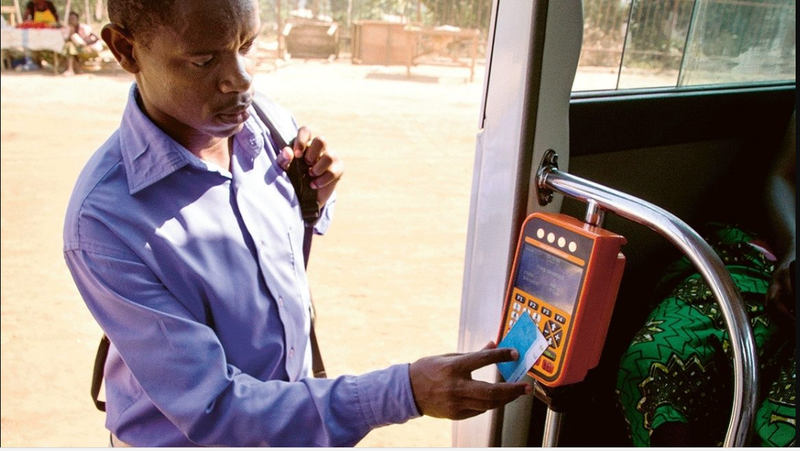 Bonfils Munyaneza, a driver at Rwanda Federation of Transport Cooperatives (RFTC) on Nyabugogo-Nyacyonga route, said that the Tap&Go agents cause quarrels between them and passengers. “We always have issues with customers who tap and find there is no money on the card while they have just topped up, “said Munyaneza. Munyaneza also appeals to concerned institutions to intervene and solve this customer care service in the public transport sector in Kigali. Sharon Teta, speaking on behalf of AC Group, the company that owns Tap&Go told KT Press that the company supervises the agents at Bus Park and bus stops. “They (Tap&Go) follow up on the workflow and ensure commuter satisfaction,” Teta said. Teta said every agent must issue the receipts to customers to ensure them of the money they have topped up. “Every agent is supposed to provide a receipt to every customer after recharge to avoid malpractices,” she said, declining to disclose criteria of selecting their agents and measures once an agent is caught cheating on customers. However, commuters said, the agents no longer offer receipts as a way of stealing from passengers. Anthony Kuramba, spokesperson of the Rwanda Utilities Regulatory Authority (RURA) told KT Press that their Consumer Affairs Unit receive a number of cases of such kind, He condemned this stealing. “Our wish is that anybody who was conned should report to us so that we follow up the issue,” Kuramba told KT Press. Kuramba said that RURA will engage AC Group so that they urge their agents to give receipts any time a client tops up money on their cards. “Otherwise, those who will be caught stealing from customers will be banned from doing this business,” Kuramba said.